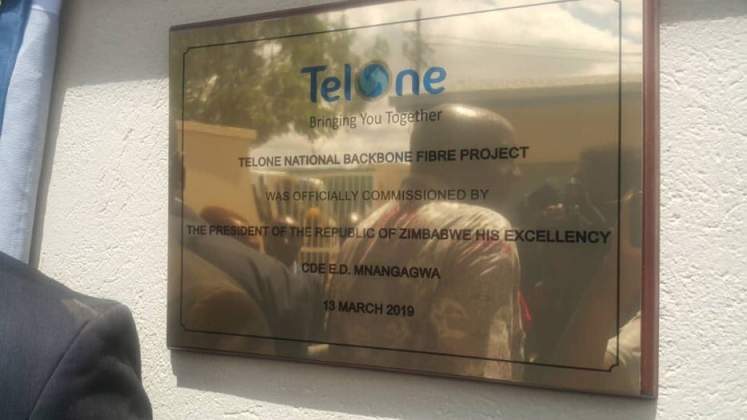 THE commissioning of the $23,6 million TelOne national backbone fibre link in Beitbridge is a game changer in the telecommunications sector at it will allow for faster, reliable, secure and cheaper internet access - a key economic enabler. As Zimbabwe strives to catch up with the rest of the world through upgrading its infrastructure and improving technology, the advent of the optic fibre link is crucial as it allows the country to cut its internet bandwidth landing costs by 40 percent. The optic link is a 330km transmission link of buried fibre which allows TelOne to deliver high speed internet into Zimbabwe at very low cost. It has seen a network upgrade of the backbone fibre link which runs from Harare-Beitbridge and from Bulawayo to Beitbridge to establish a new backbone link with South Africa and other Sadc countries. As a key player in Zimbabwe's Information Communication Technology sector, TelOne's network provides the main backbone network on which other players ride for their services. The link gives TelOne the capacity to carry traffic for all players in Zimbabwe and transit traffic to other neighbouring countries. What this means is that Internet blackouts experienced in the past are indeed a thing of the past as the optic fibre link provides redundancy and backs up the Harare-Mutare route such that traffic can now be seamlessly rerouted without any disruption in the case of a fibre break. The link will also assist in terms of foreign currency as it has huge potential to earn the country foreign currency through offering transit backhaul services to clients within the Sadc region. Zimbabwe will therefore derive immense benefits from the backbone link which will improve operations in different sectors of the economy. President Mnangagwa commissioned the backbone link on Wednesday and reiterated that Zimbabwe was determined to catch up with other countries through developing modern infrastructure, modern methods of doing business and embracing technology in its quest to transform the economy. "Our infrastructure has for too long lagged behind but we're determined to catch up with those that have progressed ahead of us. The completion of this project is timely and is a significant step for the new Zimbabwe. Such an investment has a transformative impact in our quest for economic growth, modernisation and industrialisation of the economy. It will further improve economic efficiency and productivity," said President Mnangagwa. He said the initiative was a testimony of Government's commitment to building modern infrastructure that will give the people of Zimbabwe the best opportunities to succeed in the modern world. The President said the milestone accomplishment will efficiently connect Zimbabwe to the rest of the world. "It will further ensure a more inclusive society, where our people can benefit from the immense growth opportunities that are abound across all sectors," said President Mnangagwa. Indeed the new optic fibre link is central to Government's quest to achieve a middle income economy by 2030. It also speaks to the Transitional Stabilisation Programme which seeks to broaden adoption and utilisation of e-Government. Foreign investors interested in the ICT sector will also be motivated to plough their investments into the telecommunications industry in Zimbabwe. Most countries in the world migrated from copper to fibre a long time ago but Zimbabwe took long to join them due to financial challenges. China came to the country's rescue by providing a US$98 million loan through China Exim Bank for the project, further cementing its strong bilateral ties with Zimbabwe. Beijing is already partnering Harare on a number of key infrastructural development projects which include the Kariba South expansion, Victoria Falls International Airport upgrading project, Hwange Power Station expansion and RGM International Airport upgrading. As President Mnangagwa ploughs ahead with his quest to turn around the economy, it is comforting to note that he still has the backing of economic powerhouses such as China which has stood solidly by Zimbabwe. We note and welcome the support and solidarity of the People's Republic of China and urge the world's second biggest economy to continue on this path. Despite strident efforts to derail the march towards economic transformation, Zimbabwe has done remarkably well under very testing circumstances to record some milestones since the advent of the new dispensation. The country is still under the yoke of sanctions from the United States whose Zimbabwe Democracy and Economic Recovery Act (Zidera) continues to stifle efforts to revive the economy. But Harare can take heart from the fact that it does not need the validation of the US to turn around its fortunes. Indeed, while it welcomes the support of the international community which it continues to re-engage, it cannot wallow in self-pity while awaiting Washington's endorsement. It should forge ahead with projects that improve the lot of its people using available resources and the support of its all-weather friends. Slowly but surely, Zimbabwe will turn the corner.